CFD and G’Ride are new shock absorbers ranges by HOLA made for passenger vehicles. HOLA™ informs about widening of shock absorbers range. HOLA brake discs are produced of durable high-carbon iron, thereby disc working surface is subject to minimal wear. Each HOLA disc is balanced on special equipment allowing minimal runout and static imbalance. High quality final processing of brake discs working surfaces guarantees efficient interaction of disc and brake pads. 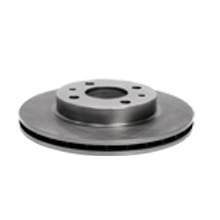 Advanced design of inner chamber surface of ventilated brake discs supports efficient cooling and heat removal, thus providing resistance to thermal overload. * We recommend to change spare parts according to vehicle manufacturers recommendations. Designed service life is set on the basis of the results of stand tests and can possibly vary depends on driving conditions.